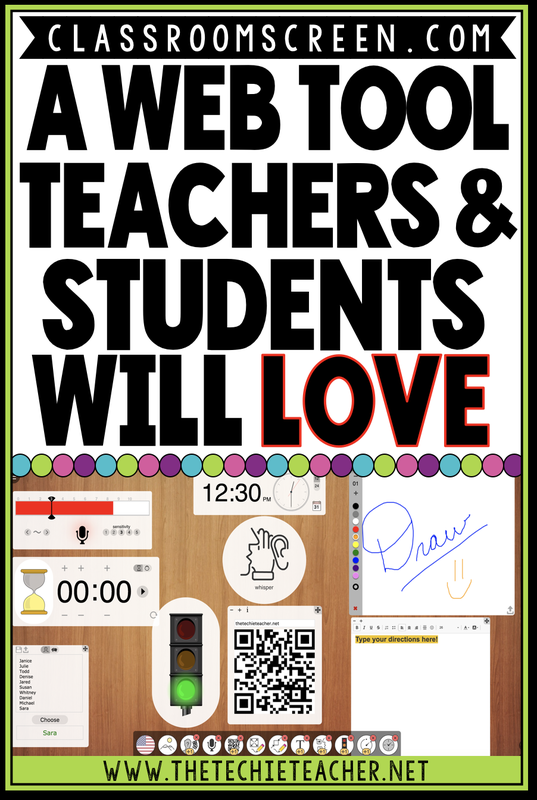 Classroomscreen.com: A Web Tool Teachers and Students will LOVE | The Techie Teacher® . 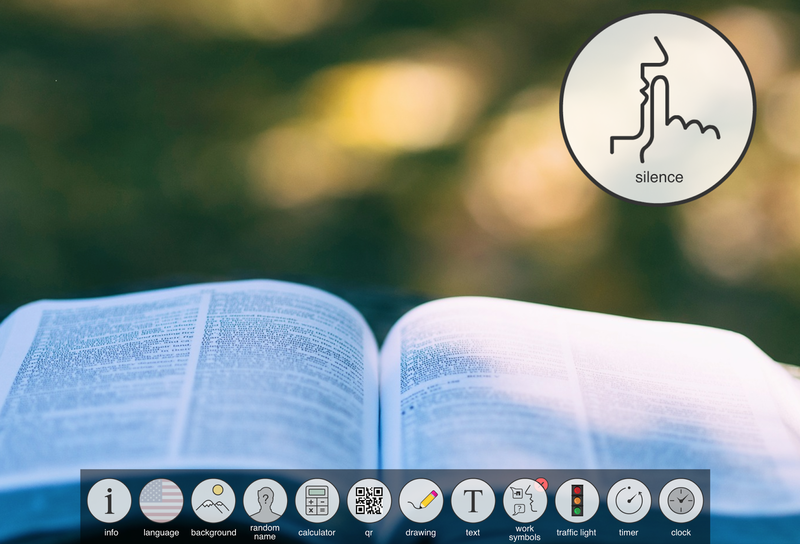 Classroomscreen.com is a FREE web tool created by Laurens Koppers, a teacher from the Netherlands. Laurens created this tool to utilize the digiboard in their classroom to help students focus on their work. Lots of updates have happened since I wrote this post! I have revised this post as of 1/31/18. Launch your web browser and visit classroomscreen.com. 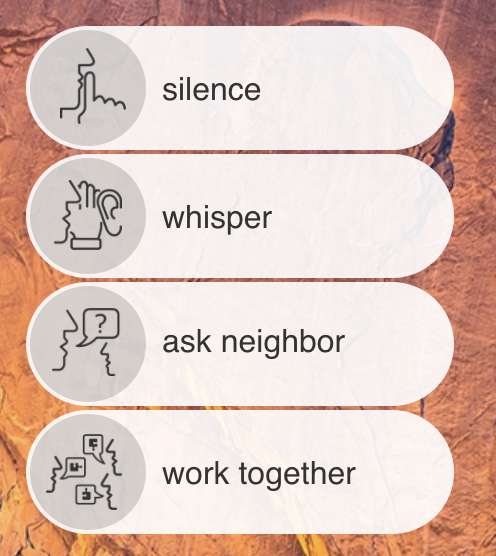 Project it on a screen in your classroom. 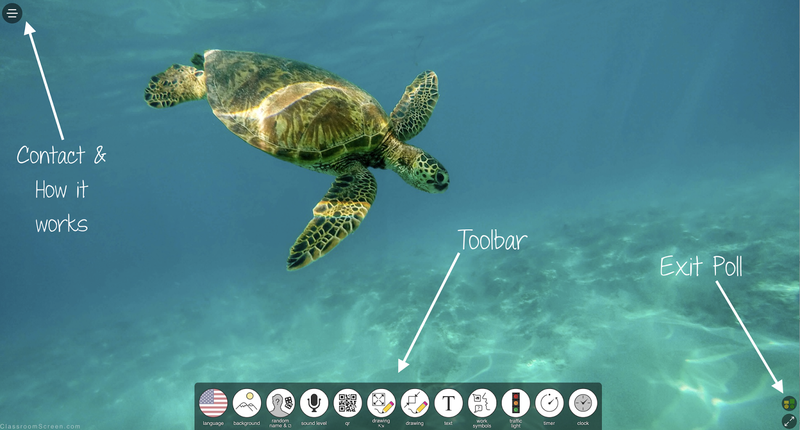 Your browser turns into an interactive board and has the capability to display various tools that you and your students will LOVE. What makes this web tool stand out? Many teachers I have shared this tool with have already said that the QR code generator is their favorite tool. 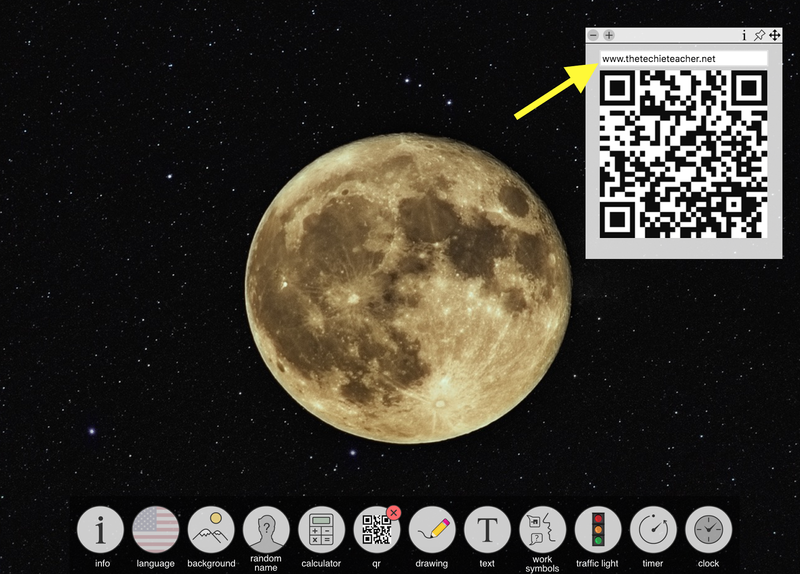 Simply click the QR code icon, enter the url of a website you would like your students to visit and the tool instantly generates a QR code for students to scan with a handheld device. I also think the stoplight is a nice component! Use it as a visual reminder for voice levels as well as other activities. 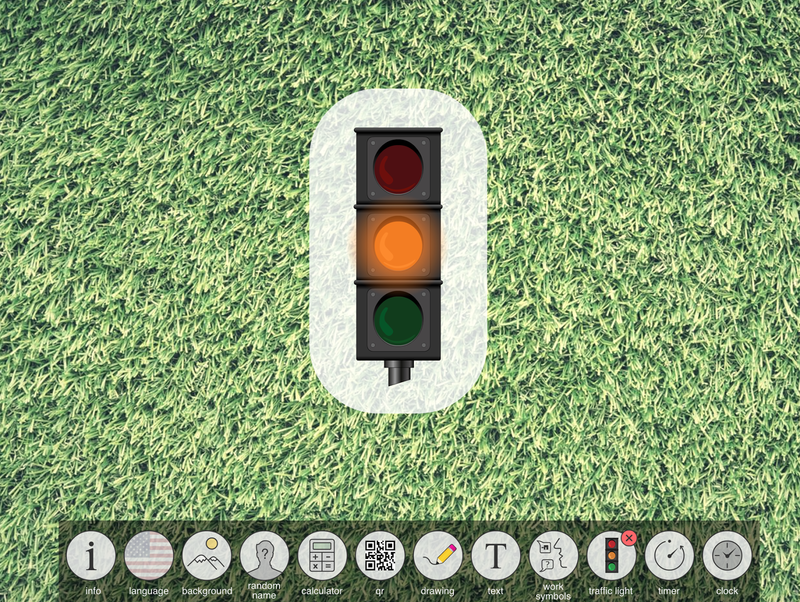 I could even seen students using classscreen.com on their own devices in which they could change the stoplight to indicate their progress on a project or their understanding of a concept. One of the newest additions is the ability to conduct a digital exit poll. Simply type a question at the top and have students walk by your board or computer and tap/click on the smiley face that represents their feelings about the question. Really, you need to check out ALL of the fabulous functions of this web tool. My students don't have access to handheld devices. Is this web tool still worthwhile? I am just discovering this. Does this "play nice" with ActiveInspire Promethean boards? Does this work well with IPads? Hi! I visited the site, but it gives me a "blocked" message. Any suggestions? Hi there! I just tried it and it is working on my end. What web browser are you using? I think Chrome works best. Also, check to see if your browser needs updating. Are you at school when trying to access the site? If so, perhaps the filter is blocking it? I am receiving the same message on my personal device as well as the school devices... Using Chrome... Any other suggestions? I'm also getting blocked and our IT man has checked our filtering systems. I'm wondering what else to try. This is happening to one of our teachers as well. It is not our filter blocking it. It is a plain white page with "Blocked" simply typed at the very top left. Sometimes it works for her, sometimes it doesn't. I tried different browsers as well and no go. Hi there! It was down yesterday but Classroomscreen tweeted this morning that it is back up and running! I have made my Emoji characters, saved them to my computer from Google Drive, but I cannot figure out how to insert them into the text box on ClassroomScreen. Could you please tell me how to do that? Thanks!! Hi there! Is there a way to create it beforehand and save? Can you use "on top" of a word docx or a powerpoint? I don't think you can at this time. I have tried several browsers and made sure I wasn't on my districts wifi but I still get a white screen with the word "Blocked" on it. Any suggestions? Having issues getting this to come up, it says blocked, but not on our end... any issues for anyone else? We are getting the simple message "Blocked" when attempting to visit classroomscreen.com. This occurred yesterday as well however, it resolved itself later in the day. We've tried different browsers as well. I have a few teacher that use this. When we try to go to the site it says blocked. Tried google chrome, safari, and IE each gives same message. I also added to the allow list on our content filter. Any other suggestions for me to try. The page now says blocked when our teachers try to get on the site. I tried this at my home as well and it is blocked so I dont think it is the content filter. Would someone look for a tech support email or number so I may find some help with this issue? We use Google in the district, I also tried other web browsers. classroomscreen.com is blocked. Using cellular data not wifi. Hi! My class and I loved your classroomscreen site and used it for several weeks. However, it now says blocked whenever we try, and it does on my home computer too - no matter which browser I use. Do you know why this may be? Thanks!